DAVID LE/Staff photo. 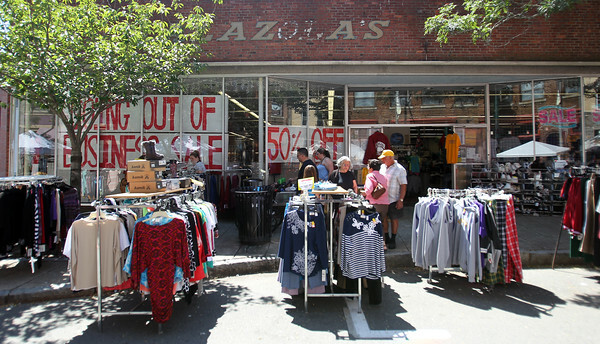 Palazola's on Main Street in Gloucester had racks of clothing, shoes, and sporting goods out in front of their store during the Sidewalk Bazaar in early August. The store will be closing in September of 2015. 8/7/15.